1. Why should I have braces? Appearance is important in our society. Research shows that people with straight teeth are treated better in social situations. A good smile builds confidence. 2. Why should I choose an orthodontic specialist? 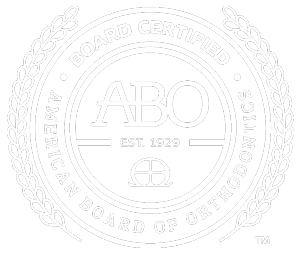 Although many general dentists offer to provide orthodontic treatment, only orthodontist specialists have gone through an extra two to three years of orthodontic training after dental school and practices only orthodontics. 3. Will my teeth straighten out as they grow? No. In most people the front of the jaw stops growing by age six. With age there is actually less room in the mouth for all the teeth. 4. When should i make an appointment for an exam? The American Association of Orthodontist recommends a screening at age 7 when some permanent teeth have erupted. 5. Does my family dentist need to schedule the appointment? No, we receive referrals from patients as well as from general dentists. 6. Is it too late for braces if I'm an adult? Its never too late! In fact 25% of all orthodontic patients are adults! 7. How much does treatment cost? The cost depends upon what needs to be done to achieve the result you desire. It depends on the complexity of the problem and length of treatment time. The exact cost and financing options are discussed at hte end of your first visit.